At Junkyard Jungle, our team is dedicated to getting you the correct part you need to get your vehicle up and running immediately! Our friendly and knowledgeable staff can help you search through our entire inventory of used transmissions and engines, or browse for any other used auto parts to find your exact part. Our team is composed of down to earth people. 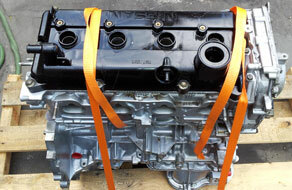 We realize that for most, the thought of replacing an engine in their vehicle is discouraging. Our team realizes that purchasing a used part can be a cost effective solution for extending the life of the vehicle and are glad to walk you through the process from A to Z. We answer any and all questions you might have. We even offer tips on locating a fair mechanic in your area. Junkyard Jungle is a unique and qualified supplier with a team that is proud to offer trustworthy, straightforward no-nonsense assistance to get you where you need to be. We are nationally listed and handle hundreds of service calls daily. We offer every part available and ship parts to all parts of US.